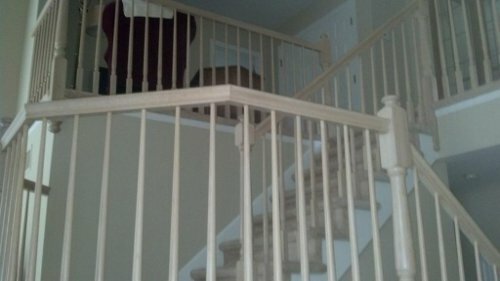 We just completed a project in Wyckoff New Jersey and wanted to share the transformation with you including pics. Contact us today if you want to talk about a similar project for your home. 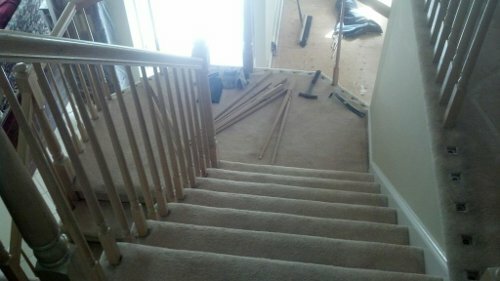 We removed carpet from stairs. 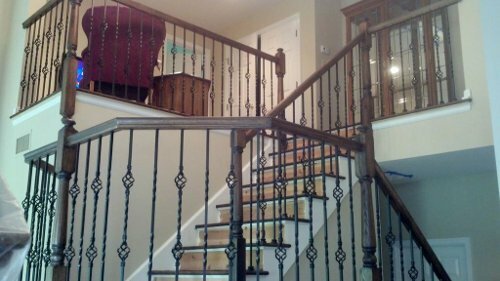 We removed their old white wooden balusters and replaced them with double basket and double twist oil rubbed Bronze iron balusters. 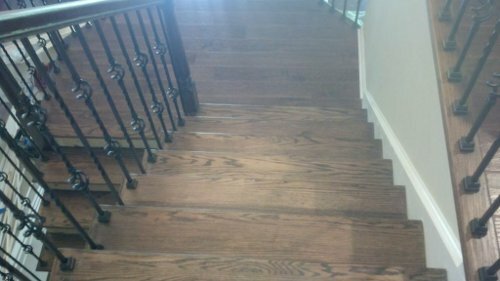 We also applied a Dark Walnut stain to match the Armstrong 5″ plank pre-finished from their American scraped collection. How can we help you? Please contact us today.